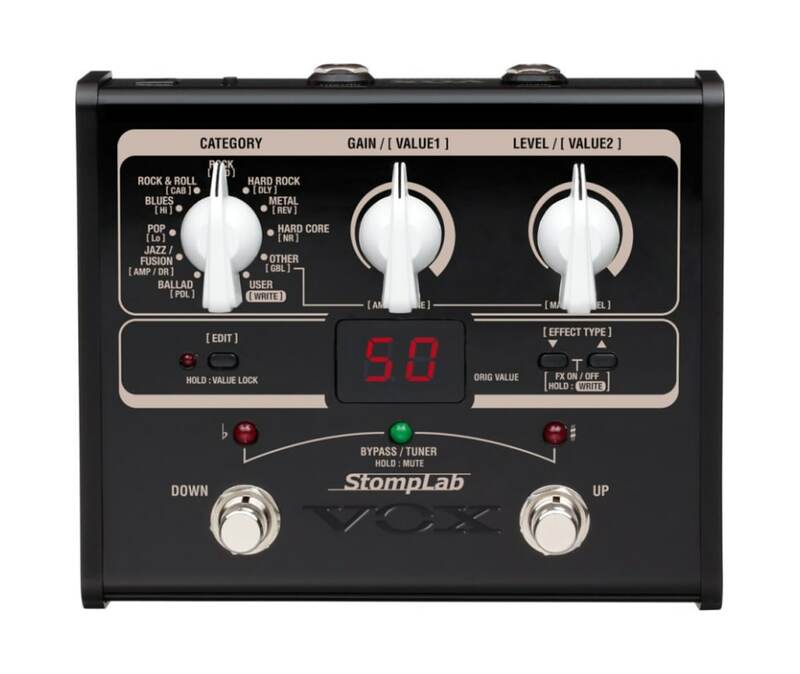 The Vox Stomp Lab series of effect pedals, of which the Stomp Lab IG modeling guitar pedal is a part of, are impressive new contenders that pack powerful sounds into compact and sophisticated looking metal bodies. Sound variations are categorized by style, such as rock, blues, and ballad, making it easy for even novice users to recall the desired sound. With high-quality looks, plus its high quality sound, the Stomp Lab series will be a great companion for the guitarist or bassist for years to come.